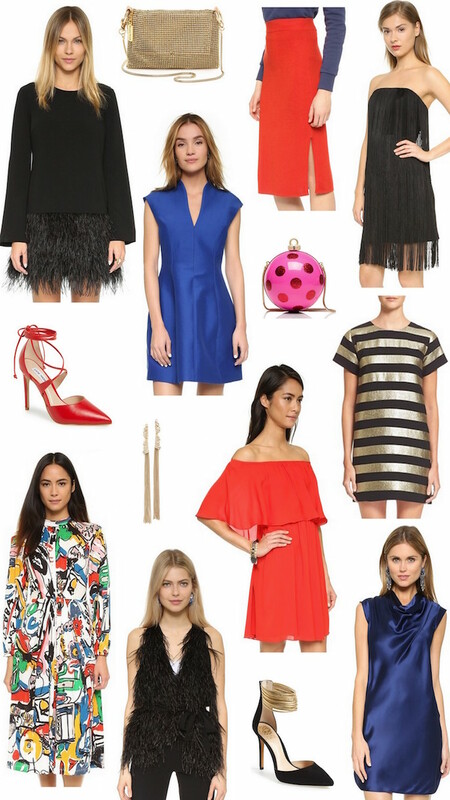 Few favorites... the red off the shoulder dress because obviously. That ornament clutch – ridiculously fun. The stripe shift would be easy to wear and hide a plethora of holiday sins. And aren't these red heels fun?